Participated – Christopher Byrne, William Byrne, John Dunne, Theobald Fitzgerald, George A Lyons, Charles Murphy, Colm O’Murchada, James Walsh, John Byrne, Christopher Carbury, James Fitzgerald, Thomas Fitzgerald, William Fitzgerald, William McCabe, James O’Brien, James Purfield, Thomas Walsh, Thomas Byrne, Patrick J Daly, Leo Fitzgerald, Thomas Fullam, John Kinsella, Michael Merriman, Joseph O’Connor, John Joseph Quinn, Desmond Ryan, Patrick Ward and Henry Williams. Here are some photographs (with thanks to Patrick Dowling, Rock Photography). 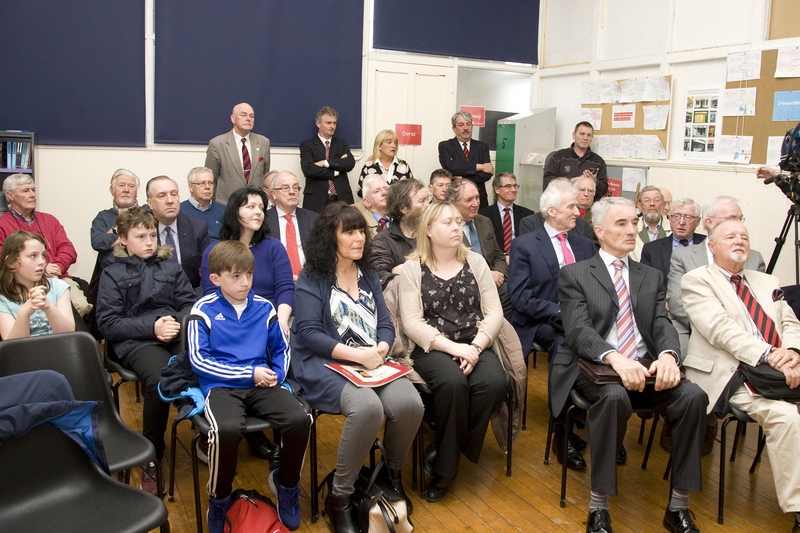 Some of the audience at the unveiling ceremony. Una Malone and her two children represented William (direct connection) and Michael Malone. John and Paddy Sheridan represented their grandfather Patrick Ward. 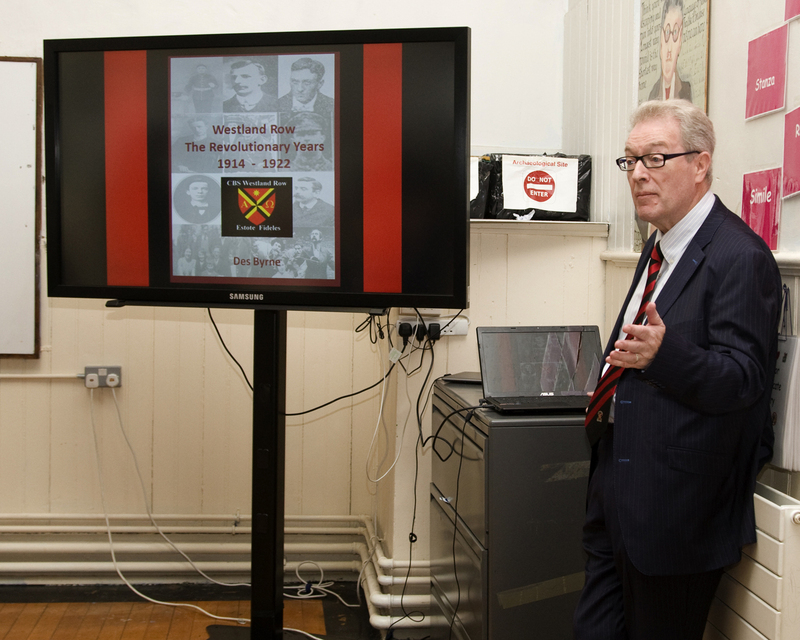 Dave Quinn represented James Purfield and the McGurrell brothers represented their great uncle, John Joseph Quinn. The plaque bearing the 36 names as above. 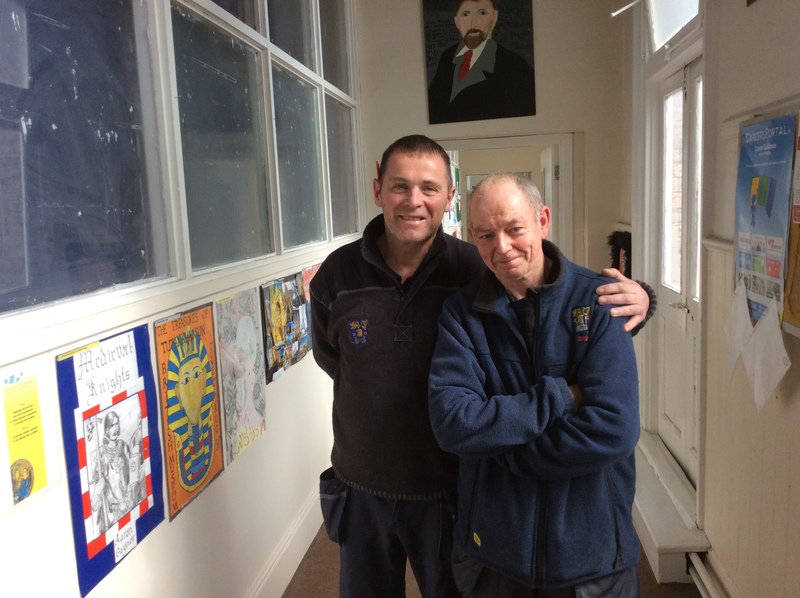 Dave Quinn (left), descendant of James Purfield and his friend Paddy (right). 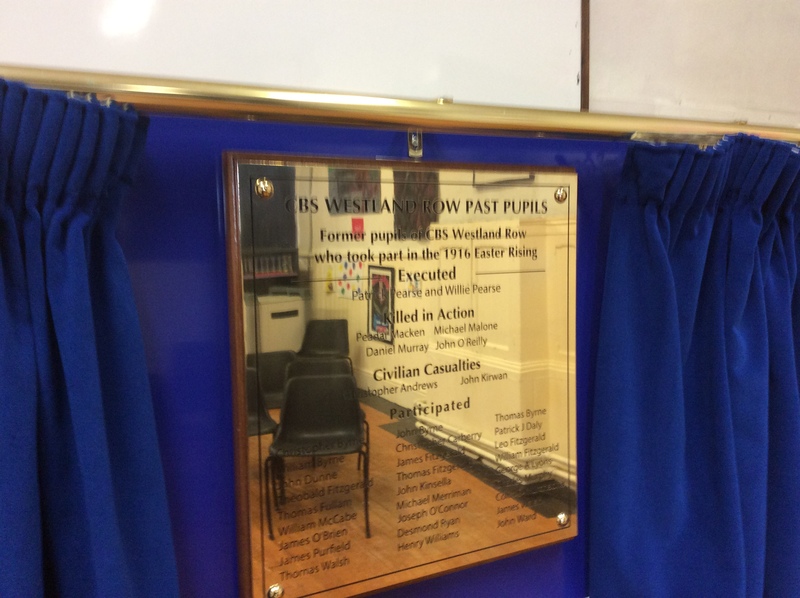 Both are past pupils who work in Trinity and who helped to set up the plaque on the day. 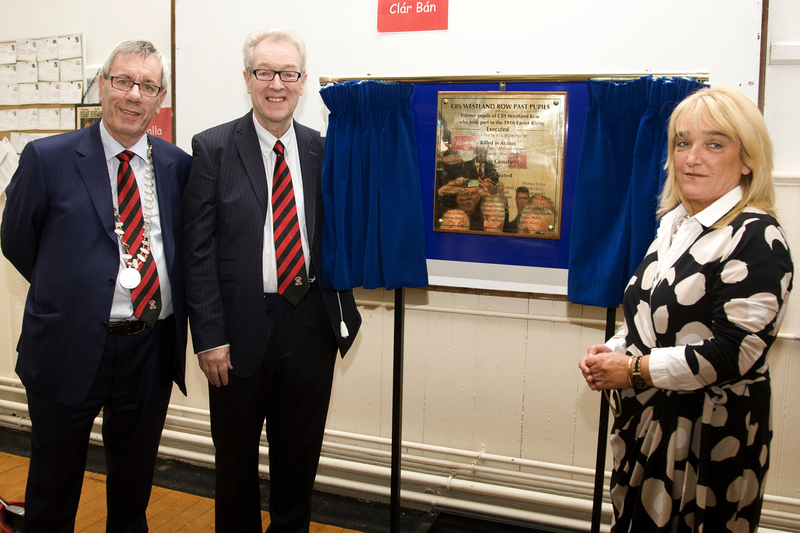 PPU President, Brian Duncan, Des Byrne and Principal Kate Byrne perform the unveiling ceremony. My Name is James McGowan ,a CBS graduate of the early 1960s in the class of Des Byrne, Ray Treacy, Eamon Donnelly, and the late Jock Coady.etc. I served for 1 year on the PPU before departing for Canada and the United States ,where I earned my BA,,MA and PhD. and taught History and Political Theory at the University of Chicago, and Rutgers University before forming a successful consulting firm focused on land development and commercial real estate in the NY/NJ markets. Currently retired , I live part of the year near Belfast on the beautiful Coast Of Maine, on the Irish Riviera in Spring Lake New Jersey, and in Naples ,Florida during the long northern winters.When reading your site for the first time, I am disturbed by the continued glorification of violence and the cult of the dead as part of your mission, Yet, I am encouraged by the breakdown of gender barriers, and by the playing of soccer and rugby in the school today.